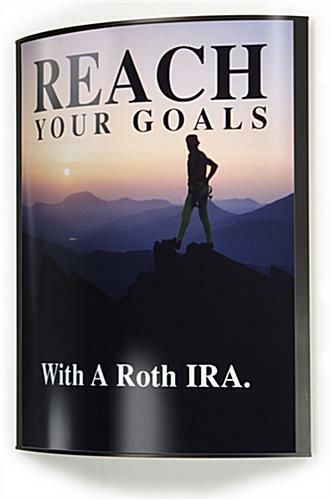 This Picture Frame is Extremely Large and is Perfect for Displaying Posters, Signs, and More! This Picture Frame has a Curved Design to Draw Attention! Poster Frames Purchased with Confidence, Largest Online Warehouse! 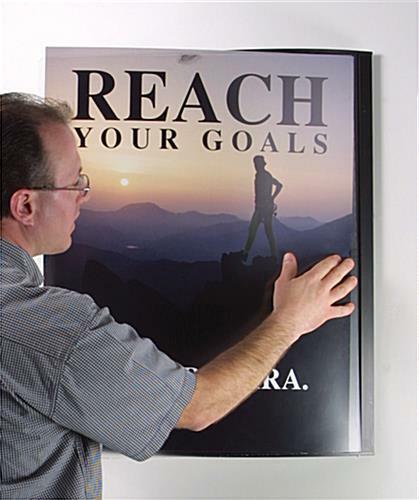 22" x 28" 24" x 36" 27" x 40" 27" x 41"
Picture Frame with Black Plastic Trim in Convex Design for Walls, 36" x 48"
This picture frame is perfect for displaying oversize business posters, signs, and graphics. The curved design of this picture frame is ideal for drawing attention to the enclosed media content. Made of acrylic and plastic materials, this picture frame is lightweight and easy to hang on any wall. This proprietary convex style picture frame provides an appealing contemporary appearance for showcasing up to 36"wide x 48"high images. This display incorporates: 1" of black accent trim on each side of the display space, shorter prints will have a black matte background on top and bottom. 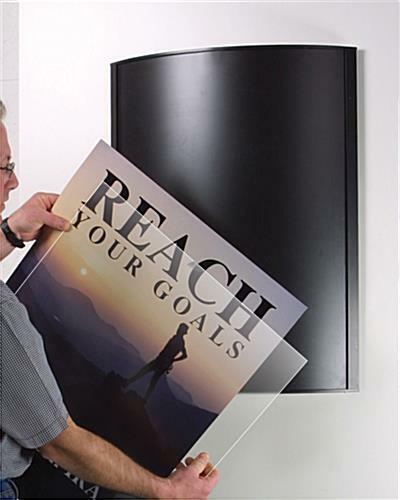 A non-glare acrylic front minimizes light reflections, and is removable for easy poster changes. The lightweight plastic (only 16 pounds) holder hangs on any wall with an easy mounting bracket (screws and anchors included) . This large wall display measures 36" wide by 48 1/2" high with the farthest point off the wall at 8" at its center. A truly impressive appearance. Field tested and proven! Ships in UPS oversize box. 36.0" x 48.0" x 8.1"